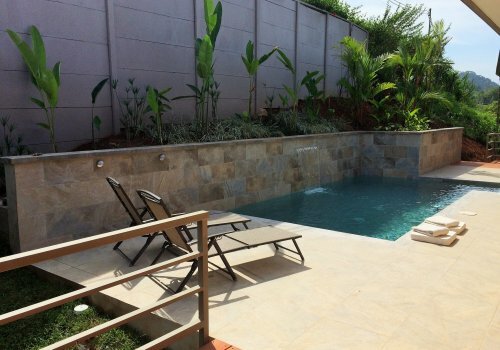 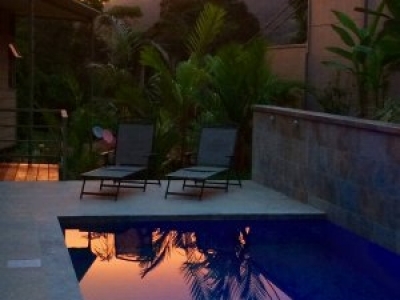 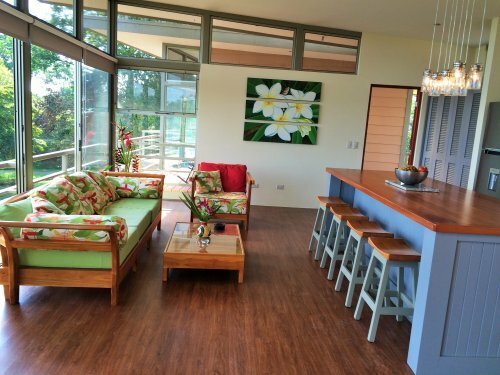 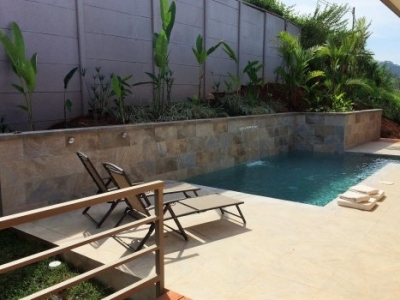 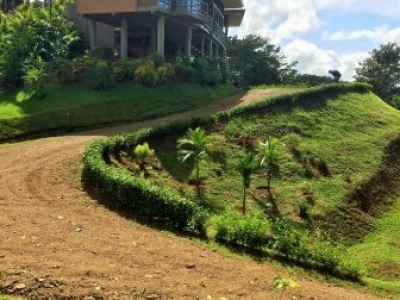 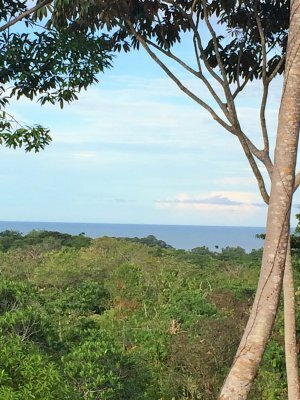 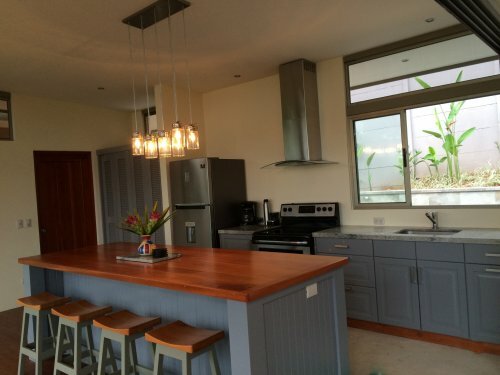 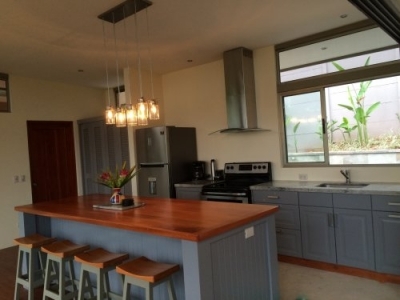 1.3 ACRES – 3 Bedroom Modern Home With Ocean View And Pool!!!! 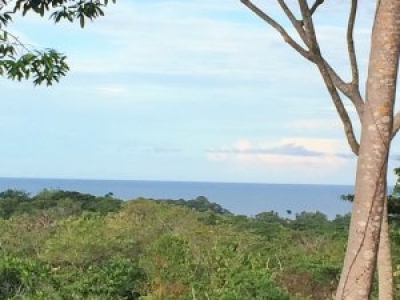 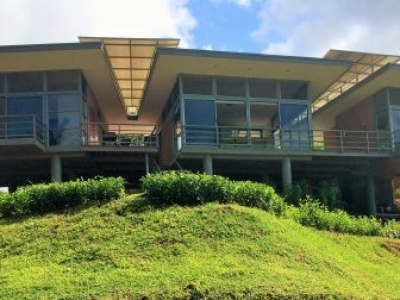 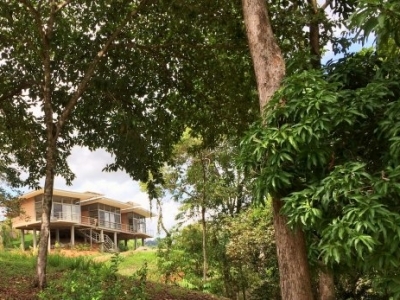 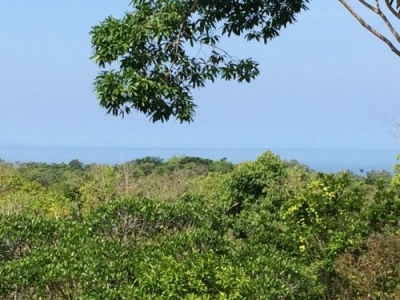 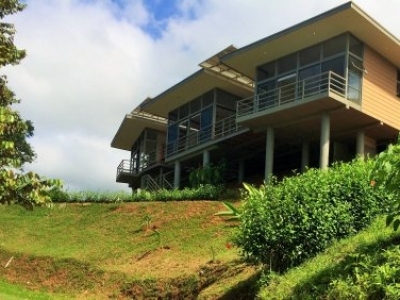 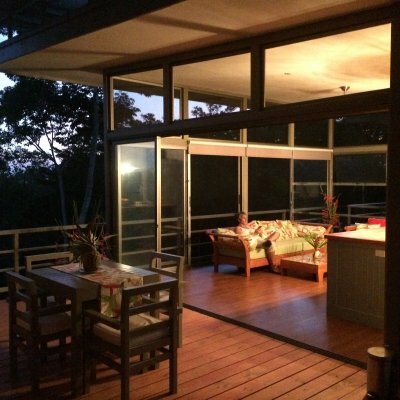 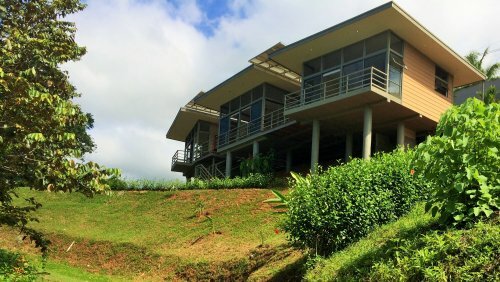 This unique, three bedroom, two bath contemporary home hovers above the treetops at canopy level with sweeping ocean views including Cano Island. 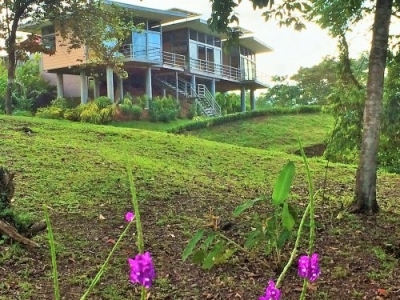 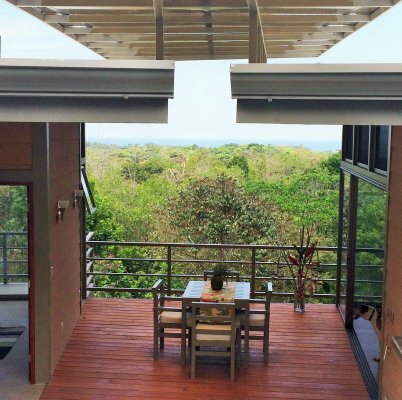 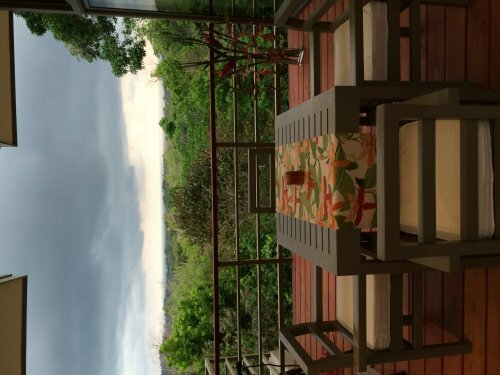 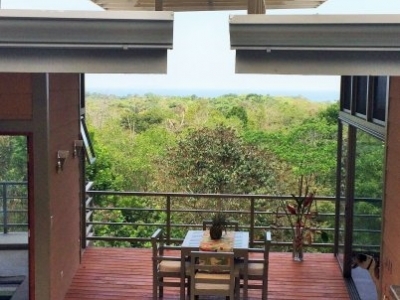 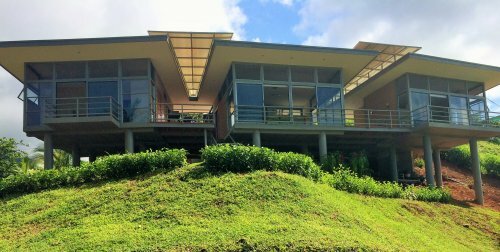 This design perfectly suited for Costa Rican living includes three separate buildings connected by wooden decks. 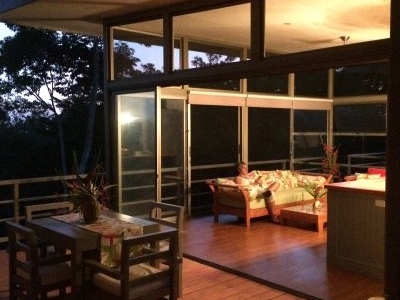 All three “pods” face the ocean with 4 panel glass sliders. Intimately integrated with all rooms and with both ocean and mountain views, is a very private pool with a cascading, sheer descent waterfall and iridescent LED pool lighting. 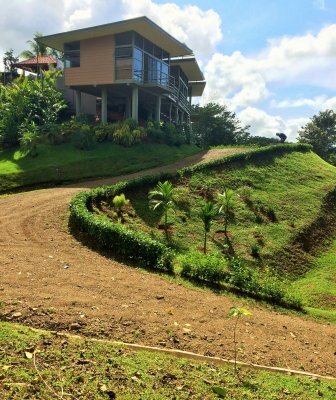 The home sits on 5,504 square meters, has ocean and mountain views from all three buildings and another large building site with endless possibilities. In addition, the design of the home lends itself to expansion below where there is room for 2 additional large rooms. 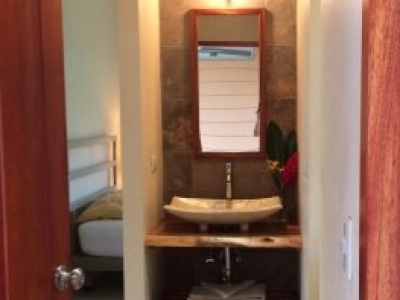 The Master bedroom “pod” is beautifully appointed with a contemporary designer, king sized bed and oversized shower with mountain views and double vessel sinks atop a stunning wood dresser with matching mirrors. 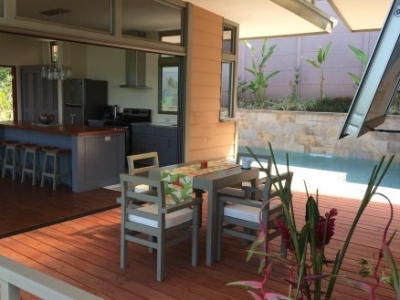 Adjacent to the Master is an open air covered deck which brings you to the 2nd “pod” that includes a bright and functional kitchen with an 8 ft. custom designed island and granite countertops along with stainless steel appliances and plenty of cabinet space and a large pantry. The living room, furnished beautifully with custom/local crafted teak furniture, is bright and open with sliding glass on 2 sides for a truly open air living experience. 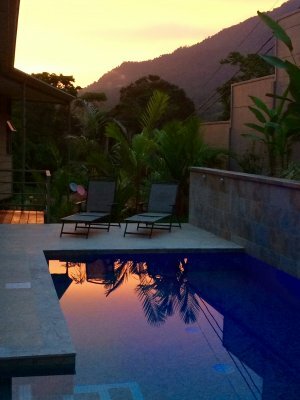 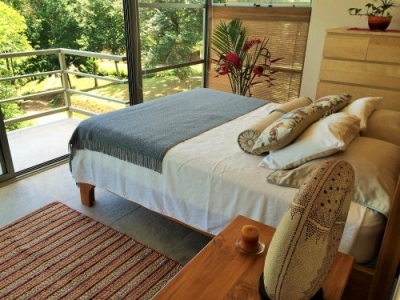 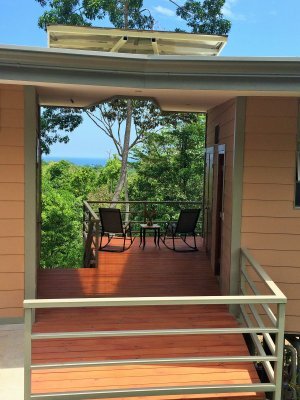 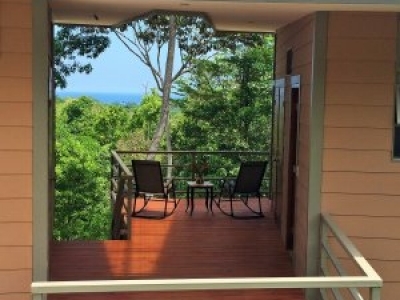 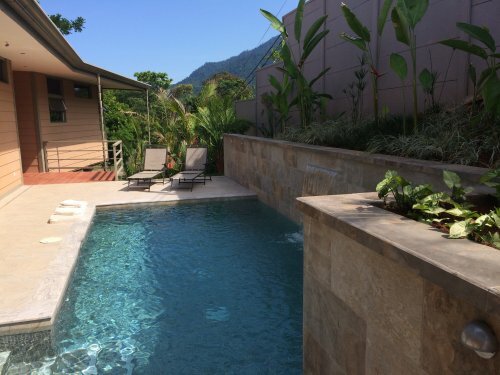 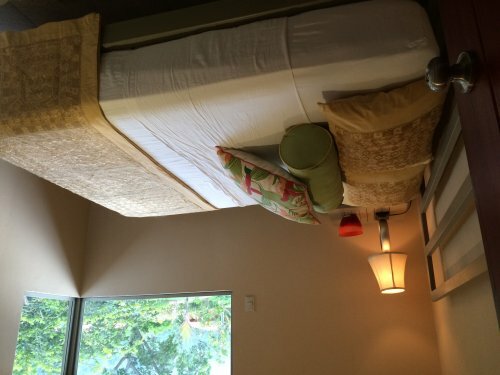 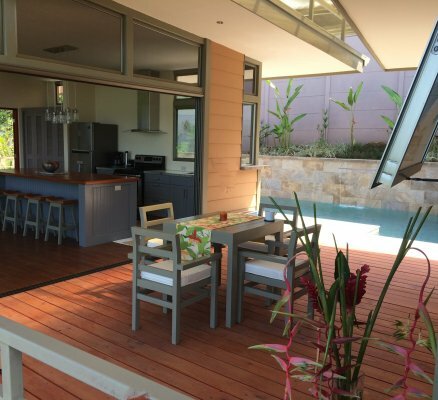 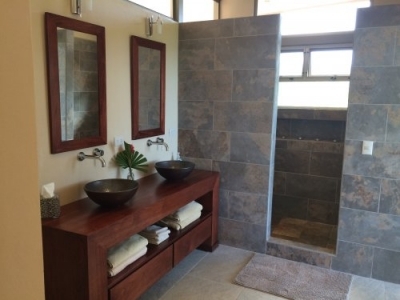 The 3rd “pod” includes 2 bedrooms, (one with queen, the other a double bed), its own private deck for guests, laundry room and a shared bathroom with a lovely stone sink atop a stunning piece of Guanacaste wood. 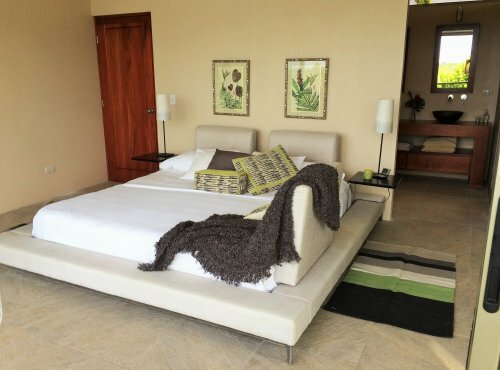 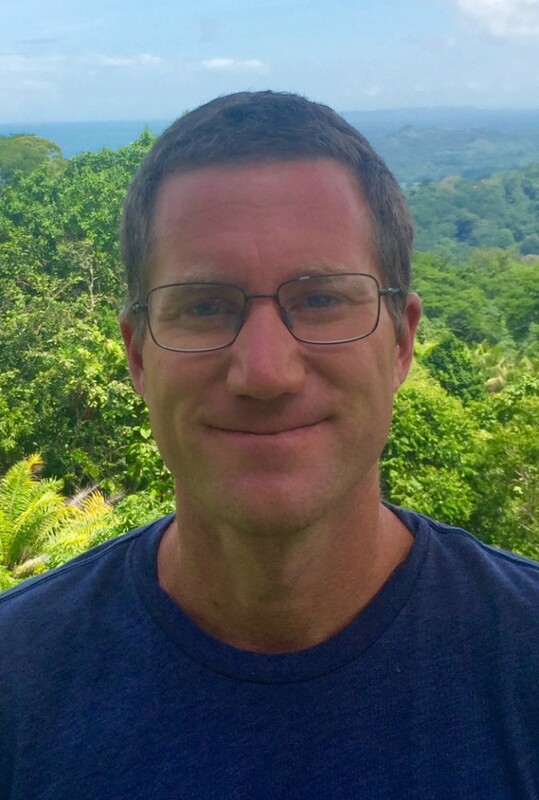 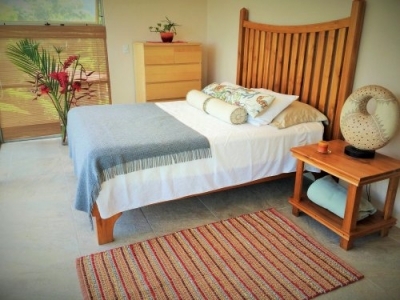 The 2nd bedroom has stunning views of Cano Island, while the 3rd bedroom has expansive mountain views. 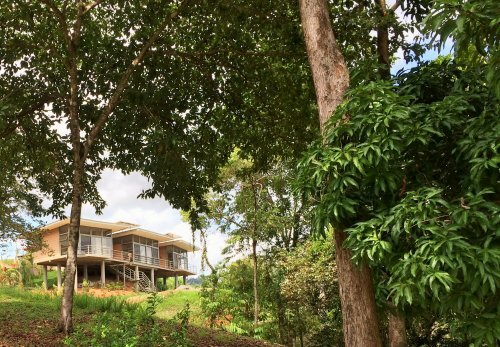 This home has the feel of a “modern, jungle tree house” with a variety of trees that attract various species of birds and animals throughout the day. 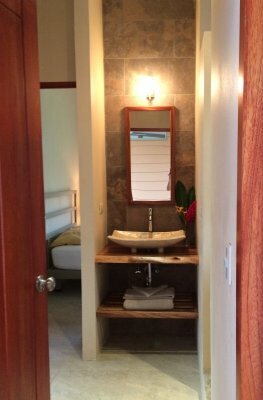 A touch of rustic element, but with all the modern conveniences creates a spectacular spot to stimulate your senses both day and night.